(BPT) – Spring cleaning is a seasonal tradition. You’ve been setting house projects aside all winter, and now’s the perfect time to make sure the warm weather season starts with a cleaner, happier home. So open the windows, turn on your favorite song, and start your spring cleaning with these five to-dos. * Clear the clutter. Removing excess clutter is a great cleaning tip any time of year, but finishing this task when the weather was colder may not have been as tempting. Tackle your home room by room and analyze the items you find. If you haven’t used something in a year or more, it’s time for it to go. * Freshen up the floors. After a season of tracking dirt, snow and mud, your floors could use some attention. If the damage is minor, a thorough vacuuming will do the trick. If the wear and tear is more significant, you may need a more comprehensive solution. 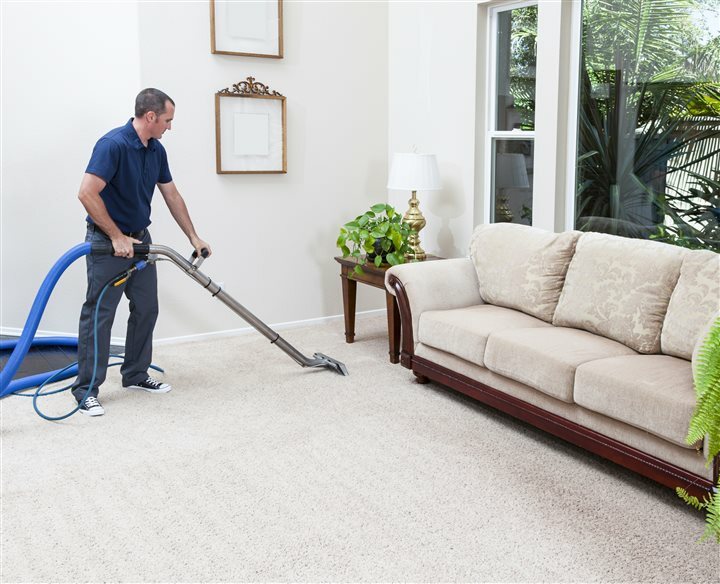 If you have carpet, renting a carpet cleaner allows you to tackle the job yourself, saving you money over hiring a professional or purchasing your own machine. And if you have hardwood or tile floors, rent a floor buffer. It’s the easiest way to give your floors back their shine in no time. * Pretty it up with paint. The windows are open and a gentle breeze is moving air through your home. This is the right time to cross that painting project off your to-do list. Small painting projects can be handled with a single can and a brush, but for your larger painting endeavors, rent a paint sprayer. It’s the best way to get an even, professional coat in a short amount of time so you’re finished before the breeze dies down. * Better the baseboards. Baseboards provide a stylish accent to any room in your home, but when they’re dirty, they stand out for all the wrong reasons. To clean them, start by vacuuming your baseboards and scrubbing each with a mixture of dish soap and warm water. Dry each with a towel before wiping them with a dryer sheet. This last step will help repel dust from landing on your baseboards. Plus, it’ll give your home a fresh scent. * Vet the vents. One of the joys of warmer weather is the increase in fresh air that flows through your home — as long as that air is clean. To improve the air quality in your home immediately, clean the vents. Dirt, hair, pollen and other debris collect there, so vacuum the vents out to remove particles from your air for good. Rent a wearable vacuum and you’ll make your reaching points easier without the complications of lugging a traditional model. Apply some care and focus to these five spring cleaning tasks, and you’ll be happier with your home in the pleasant months ahead. To learn more about renting the tools you need for your spring cleaning projects, visit RentalHQ.com. When you or someone you know needs the services of a quality residential home inspection company in Miami FL, we would truly appreciate you thinking of us. You can schedule right from our website or call our office.